Athletes, hikers, outdoor enthusiasts, and others have been relying on Brynje thermal base layers and accessories for years to help them stay warm and dry in some of the toughest conditions. 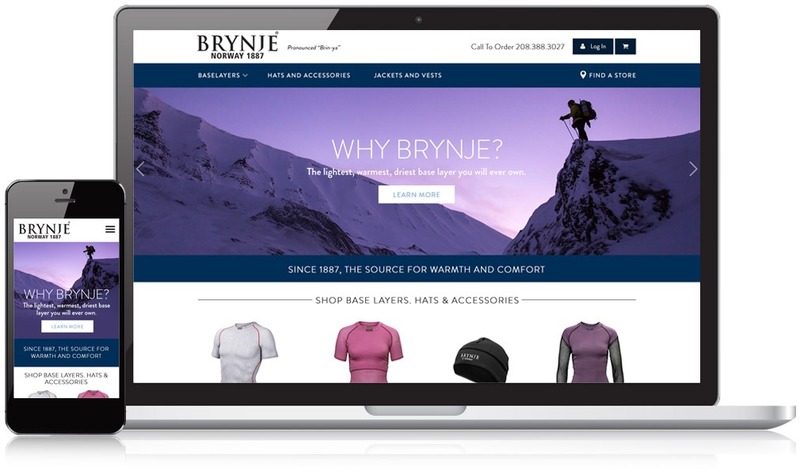 Brynje needed a professional e-commerce website to showcase their products, explain what makes their apparel so unique, and, ultimately, make it easier for shoppers to discover and buy Brynje clothing and accessories online. The redesigned e-commerce website is built on an easy-to-use content management system that lets Brynje quickly and effortlessly add new products and update existing products on the site. With a variety of unique products and categories, we included e-commerce features that make it easier than ever for shoppers to browse, filter, and sort products based on their needs. 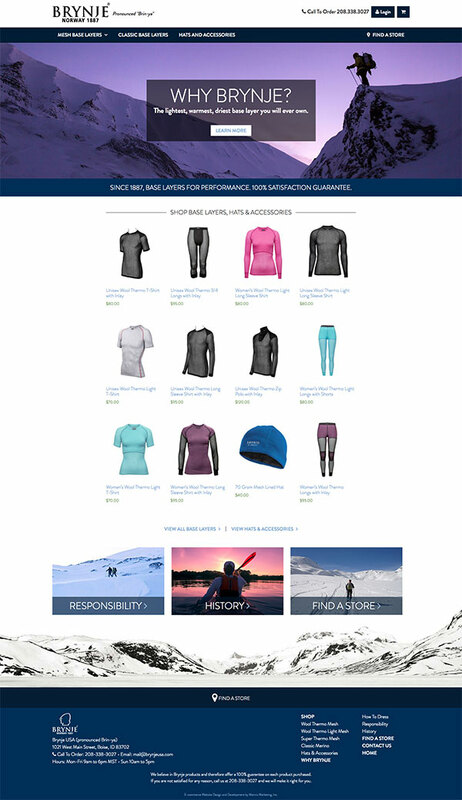 The mobile-friendly responsive design ensures a user-friendly website experience on desktops, tablets, and smartphones so that shoppers can easily search for and order Brynje clothing and accessories from anywhere on any device. For people who prefer to handle the apparel in-store before making a purchase, the store locator feature on the redesigned website lets people see where Brynje clothing and accessories are available at retail stores across the U.S.. As a small family business that appreciates nature, Brynje also uses their website to educate customers on their commitment to the environment and how they’re creating sustainable apparel that’s built for longevity.